From the early days as a custom shoe maker, Mark Paigen went on to be a river guide in Colorado. Through his adventures, he conceptualized and designed a new sports sandal, which was known at the time as Chaco Sandals. 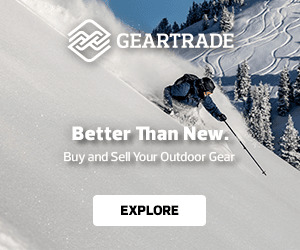 After selling Chaco Sandals in 2009, Mark continued to evolve his concepts and designs into a comfortable, all-purpose insole intended to be used by almost anyone for any activity, including skateboarding, running, hiking, snowboarding or even just walking comfortably Tread Labs insoles are designed to make a difference in your comfort, performance and alignment no matter what activity you’re into. 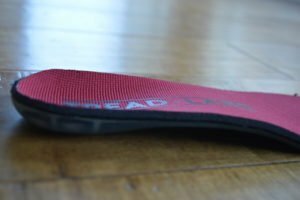 Tread Labs Stride insoles are a bit different from other insoles I’ve tried; rather than a skateboarding- or snowboarding-specific insole, these are an EVERYTHING insole. Of course I questioned this idea — how can this be? The concept seems simple enough. TreadLabs has two components: a foam top and a molded arch support. The foam top is antimicrobial (found in other insoles as well), and it attaches through Velcro to the molded plastic arch support. Seems simple enough, right? It is, and it works. TreadLabs packed a lot of tech into the foam top, and you can read more about that tech here. The replaceable foam top gives you the ability to swap them out once they’ve worn out, resulting in cost savings — a huge plus. They have an easy-to-use fit guide for low-, mid-, and high-arch support. 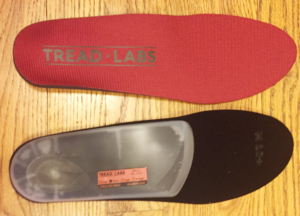 When my Tread Labs Stride insoles arrived, I put them to the test immediately to make sure it was indeed a good fit. They fit perfectly into my men’s Adidas, Vans, Volcom 9.5 shoes, as well as Thirtytwo TM-Two snowboard boots. There was no need to trim any of the foam off for a perfect fit. Now the wear test. When I initially used the insoles, I did feel that there was a comfortable cushion and bounce in my step, but I could feel the molded arch support around the inner and outer arch of my foot. It wasn’t uncomfortable, it was just that I could just feel the spot where the arch support stopped and the foam took over. After about an hour of wear time, I didn’t feel the cutoff point anymore, and the Stride insoles continued to add a nice cushion and comfort level to my step. 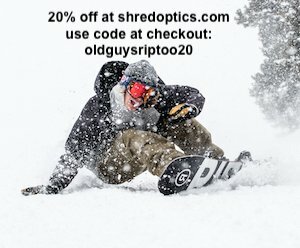 Currently, I only feel the arch support for a few moments when putting them on, and I have used these insoles in as many different shoes (and boots) as I can for work, skating and snowboarding. They are comfortable, and do make me feel like I’m more aligned in any activity I’ve tried. 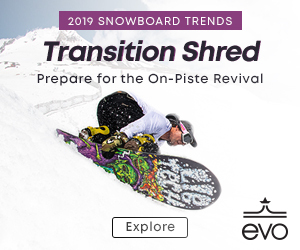 Personally, I have found that I don’t prefer additional arch support in my skate shoes or snowboarding boots, but Tread Labs Stride Insoles are low-profile and provide a great deal of support and comfort. I’ll continue to wear them in my work shoes and gym shoes, as that’s where they are perfect for my needs. After almost 60 days of use, they are still like new, are not smelly, and are easy to remove and insert into any shoe I own. 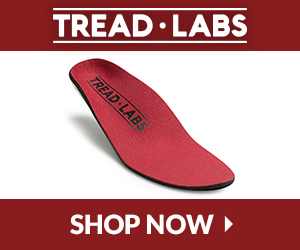 Tread Labs Stride insole is a versatile insole, and I’d recommend it for anyone wanting more comfort and support. I’ve had feet issues for years, so I am always willing to test insoles. Anything that could potentially offer relief or prevent pain is worth a shot. At one point a few years back I had severe plantar fasciitis in both feet. 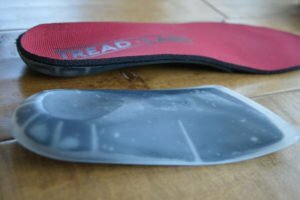 When Tread Labs contacted us and I read over the insole specs, I saw the claim that their insoles prevent and relieve plantar fasciitis, so I was immediately intrigued. The insoles from Tread Labs are not an off-the-shelf product; each set is customized based on specs provided by the customer. I’ve worn them in just about all of my shoes over the past few months. They took a little getting used to, and made my feet hurt at first, but I am used to wearing a really flat skate shoe. I really enjoyed them on hikes, walks and putting them in my shoes I wear to work. They provide great support and comfort. I tried them in shoes while skateboarding, and honestly I did not care for them skating. 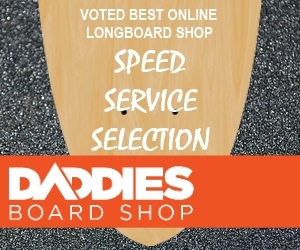 I prefer a super thin insole in my skate shoes so that I can feel the board more. They were nice for shock absorption, but they were just thick enough that I didn’t like the feel. The insoles are given an antimicrobial fabric treatment to kill bacteria — your significant other and friends will appreciate this! The molded arch supports are guaranteed, and the top covers are easy to replace when worn out. $75 for insoles may seem expensive, but you are getting a custom insole based off the specs you provide. When I had the severe plantar fasciitis issues I paid $400 (after insurance) for custom orthotics that didn’t fix the problem, so $75 is a bargain in my opinion. I haven’t had any flare ups in my feet since I’ve been using these; I highly recommend them.